Hello and welcome back to St Hilda’s Music in 2017! Our musicians have already worked with enthusiasm during Sing Out held on the first weekend of the year and made a fantastic contribution to Dr Wilson Reynold’s Commissioning Service last Friday. What an excellent start to the year! All students should receive at least their first lesson during Week 3 (6-10 Feb). If your daughter has not received a lesson time, please contact Mrs Julie Haines-Gould in Senior Music Administration on 5577 7235. 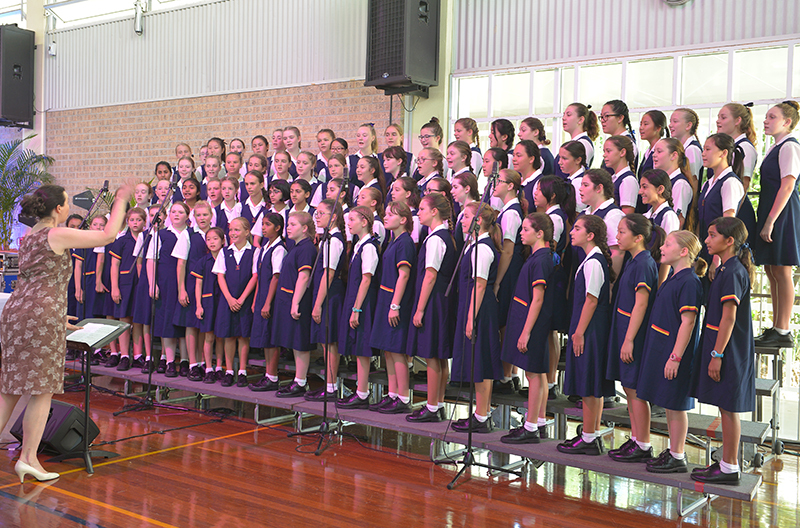 By the end of this week, all Choirs and Instrumental Ensembles will have commenced their rehearsals. The times and days for rehearsals are noted below. To get your daughter involved in music ensembles – please accept the invitation to join music ensembles on Parent Lounge. It is never too late to join a music ensemble, so please encourage you daughter to attend. Tuesday 31 January By audition at the end of previous year. Monday, 30 January By audition at the end of previous year.